The Brians still need their own tables! We resolve our collision with a new strategy: chaining. We're back in our hash table classroom with our multiple Brians that need their own tables! But don't you worry, we've got a brand new collision resolution called chaining to help us out. We talk about how it works and how it compares to linear probing. This episode of the Basecs podcast is based on Vaidehi's blog post, Taking Hash Tables Off The Shelf from her basecs blog series. [00:00:00] SY: (Music) Welcome to the Basecs podcast, where we explore the basics of computer science concepts. 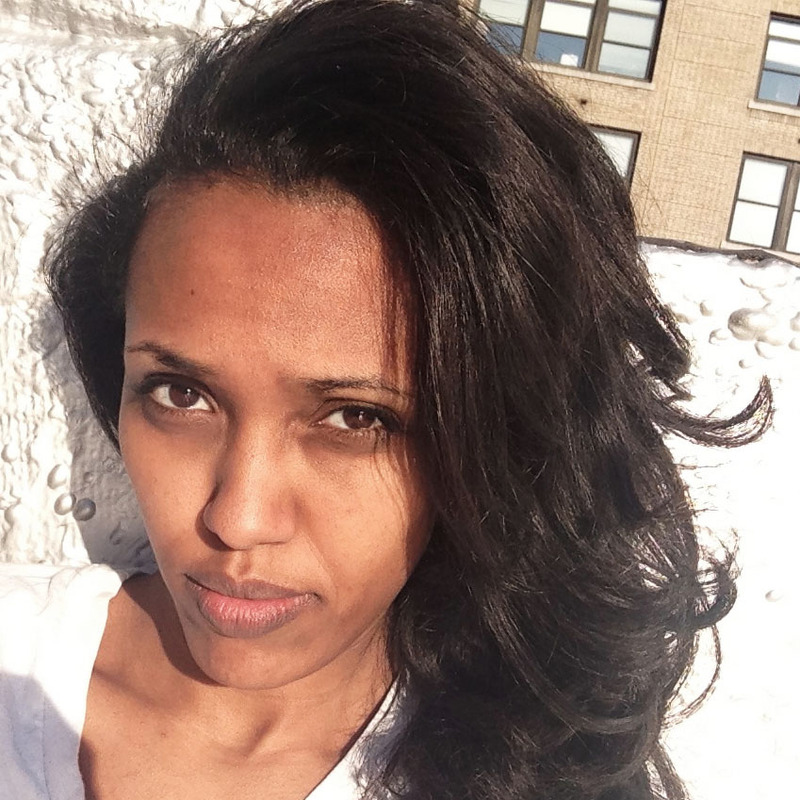 I'm your host, Saron, founder of CodeNewbie. 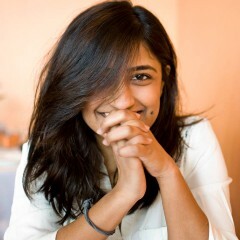 [00:00:09] VJ: And I'm Vaidehi Joshi, author and developer. [00:00:21] SY: This season of the Basecs podcast is brought to you by our wonderful friends at Twilio. If you haven't checked out their API yet, you totally should. With Twilio, your app can send text messages and make phone calls with just five lines of code. And for a lot of developers, Twilio is the first API they've ever used. And that first time you type a few lines of code, run your program and see your phone light up with the text message? It's kind of magical. And as a thank you for being a podcast listener, you get a promo code for twenty dollars in free Twilio credit. Just text your name to 480-485-4321. You'll also get a link to a quick start guide for your favorite language. So text 480-485-4321. Link to that is in your show notes. [00:01:10] And we're also sponsored this season by DigitalOcean. They provide the easiest cloud platform to deploy, manage and scale applications of any size. They remove infrastructure friction and provide predictability so you can spend more time building what you love. Try DigitalOcean for free by going to do.co/codenewbie and get $100 in infrastructure credit. Link is in your show notes. Ok. Let's get started. [00:01:39] SY: So we've been talking about hash tables for two episodes now. Let's do a quick recap of what they are. What is a hash table? [00:01:48] VJ: A hash table is a data structure that has two parts. It has an array where the data is stored and the data is stored in something called a hash bucket. And then you have a hash function, which is the thing, the function that's responsible for deciding which bucket the data goes into. And it's generally really good if your hash table is—doesn't have too many things in one bucket or in a bunch of buckets next to each other. Generally, you want your data in your hash table to be evenly distributed. And that is the job of the hash function. [00:02:20] SY: And we made a lovely analogy last time to this idea of students getting their assigned seats in a classroom where the kids are outside and the teacher is the only one who knows where they're supposed to go. And so as the students, which are the data, data pieces—that's weird. You know what I mean. (Laughing) Little, little, little pieces of data outside and the teacher, which plays the role of the hash function says, "you are gonna sit here and you're gonna sit here and you're gonna sit there," and assigns each student a desk, which we can imagine as assigning a piece of data: a hash bucket. [00:04:21] VJ: This episode is now actually about Brian and his personal life. (Laughing) We'll be diving into his diary and how he had a hard day at school because his desk was super far away, and he couldn't see the board. [00:04:33] SY: And you know, it's hard. It's really hard out here to be a Brian, you know? (Laughing) Just, just trying to, just trying to find a desk. Just trying to learn. But because there are some, some downsides to linear probing, you mentioned that there is another solution. What is that other solution? [00:04:52] VJ: Oh, I'm so excited. This other solution is a great excuse to bring back—well it's gonna be like a throwback to like season one actually a little bit. [00:05:03] SY: It's a real throwback. [00:05:24] SY: I just feel like it needs its own jingle. You know what I mean? [00:05:31] VJ: ...that everybody's dressed like from the 80s. [00:05:38] SY: There you go. There you go. [00:05:38] VJ: ...vibes through the microphone from you. (Laughing) Are you wearing your scrunchie? Is that the problem? Is that what's different today? [00:05:44] SY: You know, I, I might need to go get one. (Laughing) I might need to go get one. [00:05:56] VJ: ...bring ourselves back to something called chaining. [00:06:02] VJ: So we've talked about the downsides of linear probing, and chaining is kind of a clever workaround to some of those issues. So in order to implement chaining, what you have to do is kind of restructure the hash table a little bit. [00:06:32] VJ: ...table. And it's like instead of individual desks, it's more like a collaborative classroom. There is one entry point to the, to the table. Like we could say there's like one team leader, one student who, whoever sits there first is like, "I'm the..."
[00:06:45] VJ: "...team leader, and I'm responsible for all the B's or something. We'll see how long this analogy works. I'm not sure. [00:06:51] SY: I love it so far. I am, I am right there with you. I'm at the S table. Ok? [00:06:56] VJ: Are you the team leader? [00:06:56] SY: Obviously I'm a table leader. Of course. (Laughing) Of course I'm team—I'm like the one with the biggest mouth, you know? I love it. I love it. [00:07:05] SY: Permanently. (Laughing) Permanently hand raised. No questioning. No one's at the table. [00:07:09] VJ: Team leader here. [00:07:12] SY: I have something to say again. [00:07:43] VJ: ...V. There's still only one key per bucket, but now imagine that we have a way of putting many things in that bucket. [00:07:52] VJ: Not just the one like we were stuck with with when probing before. [00:08:11] VJ: ...of a, just a single element hash bucket. [00:08:16] SY: Oh interesting. Ok question. [00:08:19] SY: Before—I'm raising—I literally raised my hand. I'm not even joking. [00:08:22] VJ: All right. That S bucket. [00:08:25] SY: I'm literally—I'm alone. I'm alone right now, Vaidehi. Like no one is here. And I legit just—you can't see me, and I legit raised my hand. What is wrong with me? Ok. Ok, so, so question. So when we're talking about Brian and the single desk scenario—the SDS—(Laughing) there is a limit, right? There's a limit of one person per desk, one student per desk. With this new scenario, we have this, this table situation where are, there are lots of seats. Is there still some type of limit? Are there a limited number of seats that we have to worry about or think about at this point? Or do we have more flexibility there? [00:09:14] VJ: It'll become more apparent why. But yeah. [00:09:15] SY: Ok. Ok, cool. [00:10:00] VJ: ...through the linked list, kind of work your way through the chain. But the way that that kind of works out in the context of a hash table is that instead of storing one item at a hash bucket, you store a pointer to the beginning of a linked list. And maybe that linked list is just one person in the case of you at your table. Or maybe it's actually four people, and it's like you're pointing to the team leader, Brian, who has a reference to Brandon sitting next to him. And Brandon has a reference to Bristopher. I'm really bringing Bristopher brack, brack, back. [00:10:34] VJ: Oh my God. [00:10:34] SY: That's right. Bristopher is always there. [00:10:48] VJ: ...what you access from the hash bucket itself. [00:10:51] SY: Interesting. Ok, so in this scenario going back to the original question of "I have two Brian's. What do I do with them? In the chaining situation, is it that I already have this hash table that has these link li—what, what words was that? (Laughing) linked list already set up? Or is it at the point when I have my two Brian's I go "oh crap. We gotta reorganize this classroom. No more desks. Only big tables." [00:11:26] VJ: Well if you are a clever teacher—clever hash function or I guess really the person who's designing the hash function whoever that might be—they kind of need to think about this and be like "ok, when a collision happens what am I gonna do? Because as we mentioned in the previous episode, collisions are gonna happen, so you gotta account for collision resolution. That's kind of the point when you're designing the hashing function that you think, "oh, based on this data, I should probably use chaining." And at that moment like kind of in the designing phase you think about how you're going to set up the classroom if that makes sense. [00:12:01] SY: Ok. So chaining isn't necessarily something that happens, you know, in, in real time. Ideally, it will be already established so that it can better handle collisions that are expected to happen. [00:12:24] VJ: ...already hashed a bunch of data. [00:12:28] VJ: Can you imagine reorganizing a classroom with like, you know, 15 children in it? Or 30? [00:12:32] SY: When the school day has already started? Ugh, sounds like a mess. [00:12:36] SY: Seems like a bad idea. [00:12:47] VJ: ...there's still a way to access it. You just kind of start at the team leader's chair, which we can say is the front of the linked list. [00:12:54] VJ: And then you show up and then we're like, "oh, you go into bucket S," and now you're sitting at the front of the linked list. You are, you know, the reference pointer to the beginning of the list. And then someone else who is an S shows up. And now you can, we can put them as the team leader at the front of the list. [00:13:09] SY: What? Wait, I get replaced? [00:13:12] SY: Oh, that's just wrong. [00:13:14] VJ: We need a way of, we need a way of having a reference to you, but then also creating a reference to the team leader. [00:13:20] VJ: Because remember we only have access—the way that linked lists work is you have a reference to the beginning of it. [00:13:44] VJ: When you hash them into the appropriate bucket, you're adding them to a linked list, which may be empty. Sometimes it's just a pointer to an empty chair, to an empty list. And sometimes, you know, you have like two kids that are sitting next to each other, and you, you have a designated way of getting things from that bucket. [00:13:58] SY: Ok. So now can we go back to that other question of "is there a limit to how many seats I have available or how many things I can add to my linked list?" [00:14:18] SY: Oh so many. [00:14:18] VJ: ...with B's as names. Imagine now we're just like adding a bunch of students to the table, to the hash bucket rather that is for B's. Well now you have a linked list so you still have one point of entry, but now maybe your linked list is like five elements long. And adding the elements is easy. [00:14:37] VJ: But then what happens if you now need to find one of the Brian's? Or, you know, what happens if you have like a bunch of students sitting at one table and you're like "well I need to find this one specific thing, this one specific data point or this one specific child in this classroom example." Now I have to search through this table of students. [00:15:50] VJ: ...gonna be quick. [00:15:51] SY: Yeah, no that's gonna take for, forever. What are we gonna do? Can we do something? Vaidehi, come up with a solution quick. (Laughing) School has started. Go. [00:16:29] VJ: ...know, your data really well and you know that it won't happen. But there's a good chance some, some version of one of these things is gonna happen. But I guess the, the answer to your question is you wanna make sure that your hash function doesn't put 50 percent of the classroom at one table. (Laughing) Like you've gotta not do that. [00:16:45] SY: Teacher. Yeah. Yeah okay, so, so in that, in that example, right? So ideally the teacher who's the, the hash function—and for the sake of, you know, of this example is also the person who designed the, the hash table and designed the classroom—she would probably have a list of students at her disposal before they get there, right? So she can look at it and go, "holy crap. There are 20 B's in this, in this classroom. My original idea of having one alphabet per, you know, per, per table is probably not a system that's going to work out well because the B table will have 20 people on it." So the teacher would have to go, "ok, I'm gonna reorganize my tables to be, you know, Ba- through Bd. Crap. What's after D? Is it E? [00:17:36] VJ: Or you could just do like birthdays. [00:17:38] SY: No I wanna do B's still. (Laughing) Can I do B's still? [00:17:44] VJ: Sure we could do that. [00:17:45] SY: Ok. Ok. Thank you. So Be- through Bh- and then, you know, and so on and so forth. So then there are actually five different B tables in which case if there are, you know, 20 B's and it's four per table and then it kind of balances out throughout. So the real solution it sounds like is when you're designing hopefully if you have a good sense of your data and what you're gonna do with that hash table, then you should be able to design around it at least somewhat. [00:18:22] SY: Yeah, it sounds pretty useful. [00:18:38] VJ: ...searching through it isn't hard. [00:18:40] VJ: And in fact in the context of Big O, chaining averages out to constant search time, which is O(1). [00:18:46] SY: Oh wow. Oh, that's pretty good. [00:18:48] VJ: It is still pretty quick because if you have a linked list of two things, that's not that difficult to search through. [00:18:54] SY: That's pretty fast. [00:18:59] VJ: ...to be chained at one bucket (Laughing) 'cause that's not slow. Or no, that is slow. [00:19:06] VJ: That's not slow. That is slow. Oh my God. Maybe I need to go back to the classroom. I don't know what's happening to me. [00:19:15] SY: Ok, so in that example, right—so even if I'm doing chaining but I, you know, don't do it quite right and I still end up with 50 B's in my, my one linked list, is that also clustering? Does that count as clustering? [00:19:31] VJ: It does kind of present the same problem as clustering, right? [00:20:04] VJ: ...you're not really picking a good hash function that's going to make it easy to compute where something lives because that's, that's the real advantage of hashing when it's done well. [00:20:14] SY: And that's what's so interesting about the difference between linear probing and chaining because linear probing is when I have that collision, what do I do? Well I just have a very, very, very simple algorithm that says, "go to the next one. Go to the next one. Go to the next one." And so there's really kind of no way to optimize for that. Like it's just, it's the same thing over and over again. Whereas for chaining, the value of it isn't the algorithm that kicks in when a collision happens, it's more of the initial setup. And that setup is determined by the hash function. So it's almost like the better the hash function, you know, the thing determining what the layout of the classroom is gonna be like, the more likely you are to get the most out of that chaining setup. [00:20:59] VJ: Yeah. And I, I think the, the fact that a linked list is a kind of setup is kind of cool because that's a little bit of the hash table and not the hash function, right? [00:21:09] SY: Right. Right. Right. Yeah. [00:21:23] VJ: ...because I know that linked lists are very good for this. Why don't we just plug 'em in right here and use them because we know that they'll help us here if we, you know, follow a couple constraints. [00:21:34] SY: Ok, so that hash function is, is really—I almost wanna say like the most important part of this hash table. So what makes a good hash function? [00:22:15] SY: Out the door and the window. Out the whole building. [00:22:15] VJ: Out of all the windows and doors and plumbing and everything. [00:22:18] SY: Any exit. Pick your favorite exit. And when we say easy, are we talking about speed? Are we talking about computational power like, like processes? Like what, what—how are we defining the ease? [00:22:35] VJ: how quick it is, really. [00:22:37] VJ: And whether you've thought about situations where there are collisions, for example. And actually that's, that's a good second point to say is that a good hash table and hash function avoids collisions because if you haven't thought about that, then it's not gonna be easy to determine where something goes or where to get it from because as soon as you're like, "oh, put in the second thing that lives here," and you haven't accounted for it—well now your hash function's kind of stuck. [00:23:03] VJ: So that, that also has something to do with the ease of it. And, you know, you can have some—there are some hash functions that are computationally they feel complex to us, but for a computer it's not that hard. [00:23:15] SY: Ok. Anything else that makes a hash function good? [00:23:19] VJ: I guess one other thing would be—this might seem a little bit obvious but I wanna say it—a hash function should always be able to handle all the input data. It should be able to use all the input data. [00:23:35] SY: That sounds important. [00:23:58] SY: Awesome. So with our example, we've used this classroom to kind of explain how hash tables work and linear probing and, and all that. Is there a situation where I can expand my classroom? Because I'm thinking if I'm dealing with a ton of data maybe I get some, you know, some students that I, I wasn't expecting or maybe one of the teachers was like, "screw these kids. I'm not doing this anymore, and I need to like make room for a whole second, you know—I almost said a second batch of students—a second like, you know, a set of students, a class of students. Is there an option of expanding the classroom on demand if I realize I don't have room either at these tables or even just there just aren't enough tables? [00:24:58] VJ: ...because you could very likely end up with a situation where now you just have a student per bucket. And now you've just got a ton of buckets. And now it's just basically like an array. [00:25:08] VJ: And now you are like, "oh, to find anybody I have to you know, go in order row-by-row. Really, I think what the solution is is as your data changes or, you know, as you assess what your data looks like and what your hash table looks like, you probably wanna think about your hash function more. [00:25:31] VJ: ...with how many you add. And if you do add some, you really wanna think about what is it gonna be like for me to search through this? And is there a way that I can, you know, rehash my hash function to figure out a way that I can handle this data but not end up with anything, any clustering or some, some (Music) end of the hash table being heavier than the other. [00:25:51] SY: And that's the end of today's show. If you liked what you heard, leave us a review, and make sure to check out Vaidehi's blog post. Link to that is in your show notes. Also wanna give a huge shout out to Twilio for sponsoring the show. Make sure to check out their awesome API. To get your twenty dollars in free Twilio credit, text your name to 480-485-4321. Link to that is in your show notes. Also wanna give another shout out to DigitalOcean. They are the easiest way to deploy, manage and scale your application. Everything about it was built with simplicity at the forefront. Setting, deploying, even billing. Their support is amazing. They've got hundreds of detailed documents and tutorials. So if it's your first time deploying an app, don't worry. They've got great tools and community to make it nice and easy. Try DigitalOcean for free by going to do.co/codenewbie and get $100 in infrastructure credit. Link is in your show notes. Vaidehi, you wanna say good-bye? [00:26:51] SY: Thanks for listening. See you next week. [00:26:56] VJ: I, I—wow. I'm, I, I'm trying to say a lot of things, and I just keep saying "I." (Laughing) Yes, we get it, Vaidehi. "I."